Over 2,000 years ago, humankind celebrated the first Christmas in history. 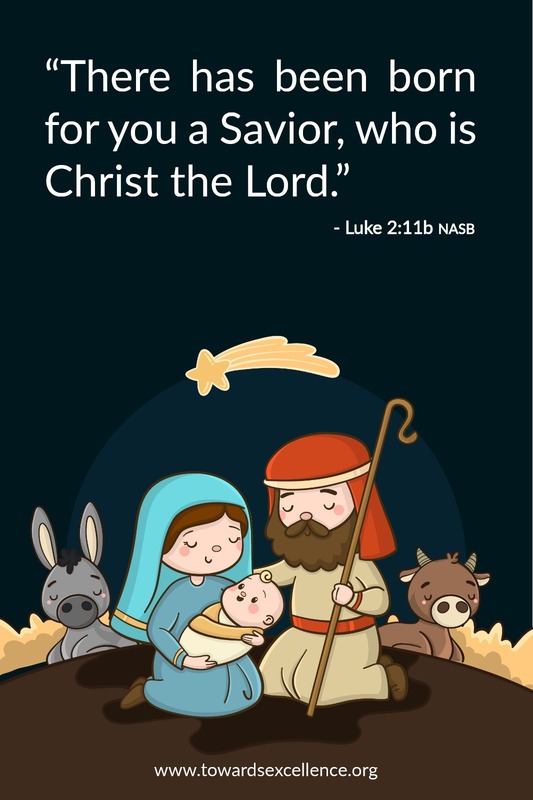 ¡The only and true Savior was born! The one whose main purpose was to release this planet from the worse exterminator…sin. The wages of sin is death. But, Jesus, the Savior came to give us life and life to the full. Would you like to learn more, contact us at Towards Excellence. There is a reason to celebrate Christmas! Towards Excellence wishes you Merry Christmas and a very fruitful New Year! Season´s Greetings from Towards Excellence! A couple weeks ago, because of the work I do in communications, I visited a public school in a marginal urban sector of a city on the coast of my country. And now as the year is almost at its end, our city is clad in lights and expensive decorations. People are out shopping, preparing big dinners, hiding gifts under the Christmas tree and telling the little ones they must be good so Santa Claus will bring them Christmas presents. Now it’s not a bad thing to dress up for a party, to share special food with family and friends or to take part in a wholesome celebration –there’s nothing really bad about any of that. What is really sad is that during this special time of the year, “everybody gets crazy,” as I heard someone say. Traffic is terrible, stores stay open long hours and it seems they aren’t able to accommodate so many people, and social obligations pile up. It seems that all the stress of an entire year accumulates into just two days while people search for the “right gift” for each obligation. Sadly enough, these little children only about 7 years old that I had the opportunity to meet just recently are the clear reflection of our society. 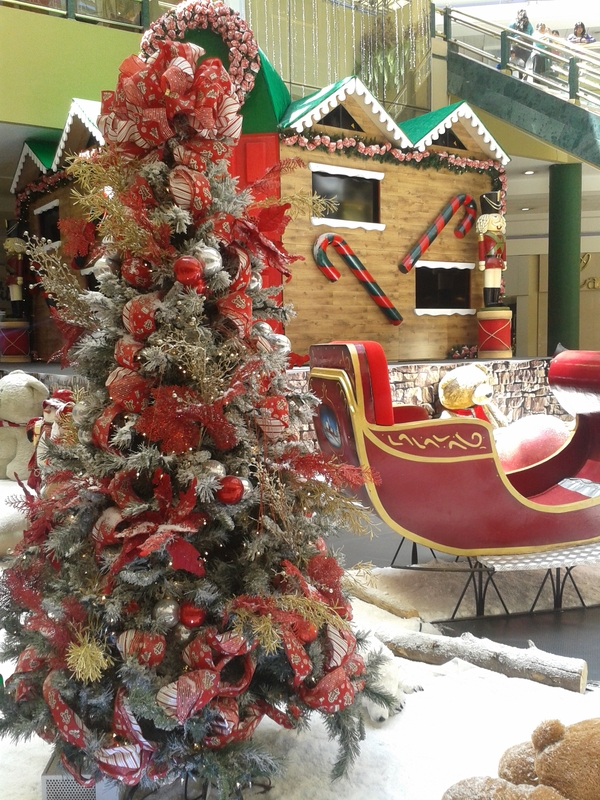 For them, Christmas is a time of lights, decorations, gifts and a fantastic story that with a little luck might come true for them. – That we are sinners. That there is not even one righteous person in this world. – That we can do absolutely nothing for ourselves to cleanse our sin. Not even the best works can wipe away the smallest or most hidden sin we have. – That only the precious blood of Jesus Christ poured out in sacrifice on the cross can cleanse us of all evil and all sin. This is possible if we have faith to open our heart to Jesus, the only true God, and invite Him to be the Savior and Lord of our lives. Do you want to walk in the light in 2014? I urge you to do so, to choose to walk in the light. Choose to turn off the artificial lights of vain celebrations and trivialities and decide for Jesus Christ, the Light of the World. Putting Jesus in charge of your life is the best and most important decision you can make. When you decide for Christ, His light will wash the darkness from your life and the radiance of the all-powerful God will light your path during this New Year. May Jesus Christ, the Giver of Life and the Light of the World shine on you during 2014!